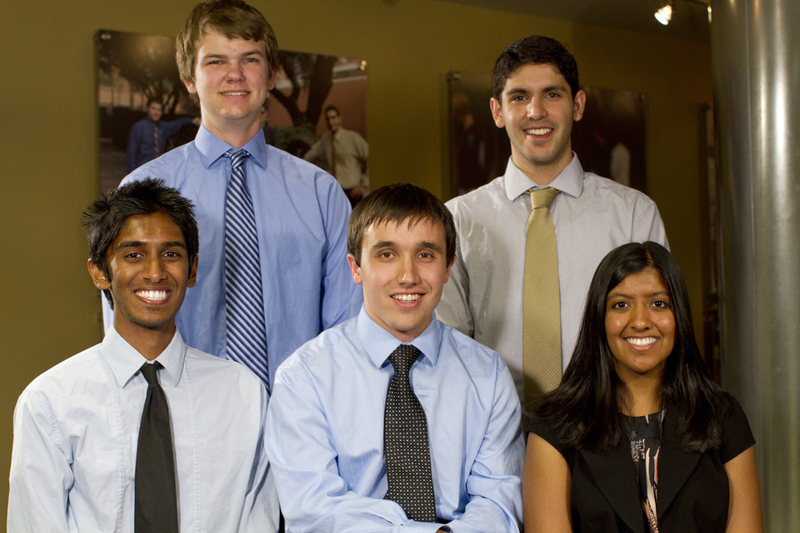 Members of the 33 Buckets team are (from left to right) students Varendra Silva, Connor Weigand, Paul Strong, Mark Huerta and Pankti Shah. 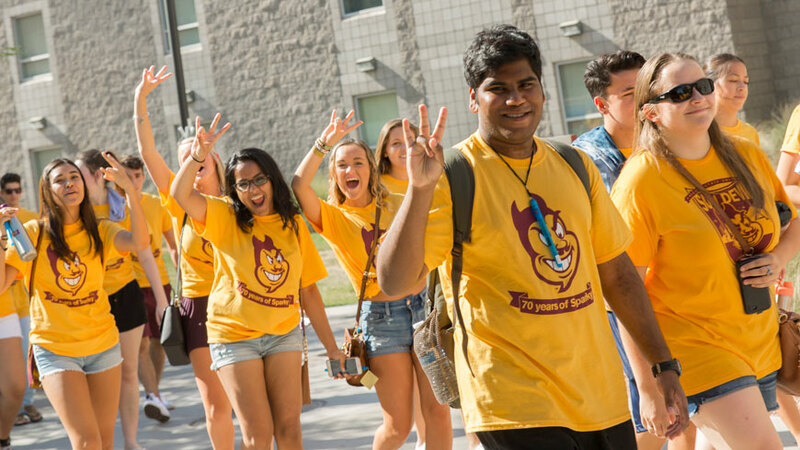 Three student teams in the Engineering Projects In Community Service (EPICS) program in ASU’s Ira A. Fulton Schools of Engineering are among leaders in the highly competitive 2012 global Dell Social Innovation Challenge. The team 33 Buckets is one of only five teams from around the world selected to compete in the final round for the Dell Challenge’s World Student Social Innovation Awards June 12 in Austin, Texas. 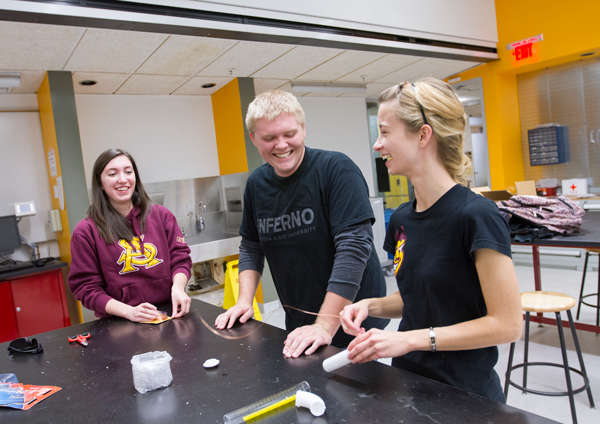 The teams FlashFood and Project TOTO have been selected as People’s Choice Award winners – earning each team $1,000. From the more than 1,700 student teams that entered the competition, eight EPICS teams were among the 200 selected for the Dell Challenge’s semifinal round, including SafeSIPP, Team Ride & Bike, Well-Water, Project Cure M^3 and Project Cure Database. The five members of 33 Buckets have designed a filtering system to provide arsenic-free water to a girls’ school in rural Bangladesh. The project also includes plans to establish a microfinance business to provide the school with a source of income from selling surplus purified water. This team is currently in Bangladesh working on the project. The six-member FlashFood team is working to establish a network to collect excess food from restaurants and catered events and deliver it to people in need at local community centers. The system uses social media technology for communications between the donators, collectors, distributors and recipients of the food. Project TOTO has plans to convert large steel shipping containers into above-ground tornado shelters, making them low-cost and more easily accessible. Read more at the Dell Social Innovation Challenge website.